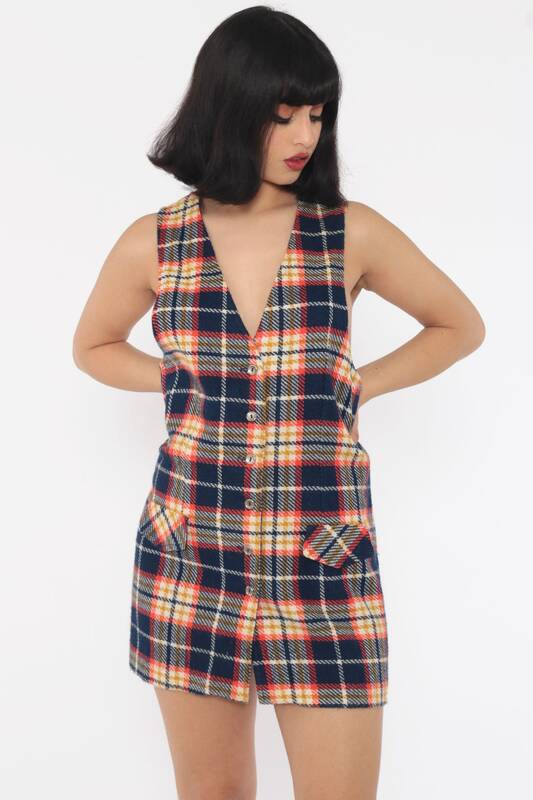 Vintage 60s 70s dress in a blue plaid print. 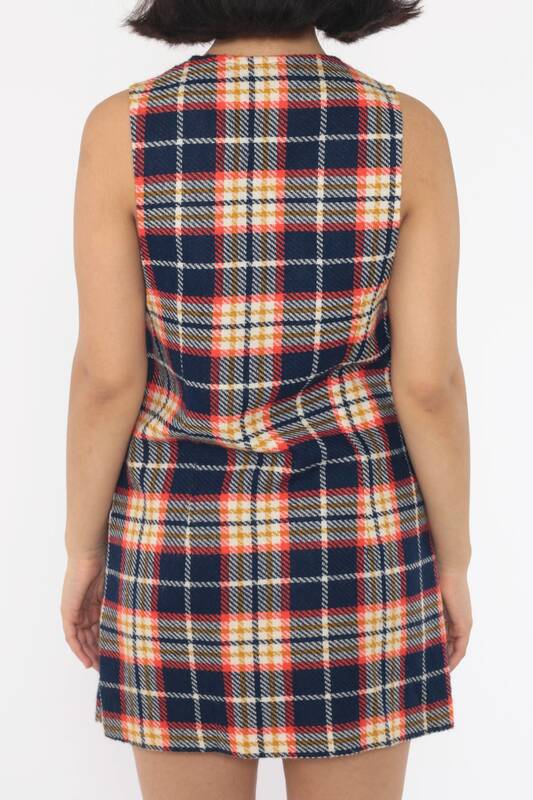 Sleeveless with a shift cut and buttons up the front. Micro mini length. Buttons end 6 inches above the hem. Condition: Very good vintage. Has some subtle yellowing on the white in some areas. Material: Knit, possibly a wool blend with a backing.